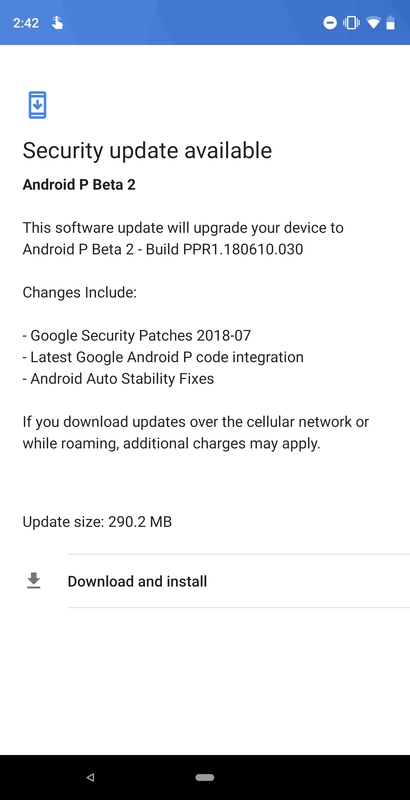 We can confirm with our own PH-1 that the update, which brings the Essential to "P Beta 2" (equivalent in Essential's numbering to today's DP4) is rolling out to Essential Phones running Android P as we speak. 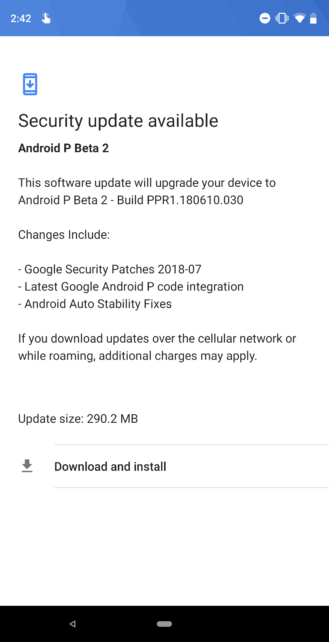 The update delivers both the July monthly security patches, the latest Android P fixes and features, and Android Auto stability fixes—hopefully mending one of the more common complaints in the Essential subreddit. The monthly stable security update includes the same remedy as well, so there's no need to jump up to Android P if you're having a problem with your car's connection. Reports confirm that the July security patches are also rolling out as we speak, though there are a few sporadic accounts of bugs while updating, like a randomly French changelog and some installation issues. Downloads for the July security OTA are available at Essential's site. The same should probably be true for the latest Android P Developer Previews, but Essential's obnoxious form requires a serial number to validate your download, and the location for that identifier seems to have changed in the P builds, so I can't find it. 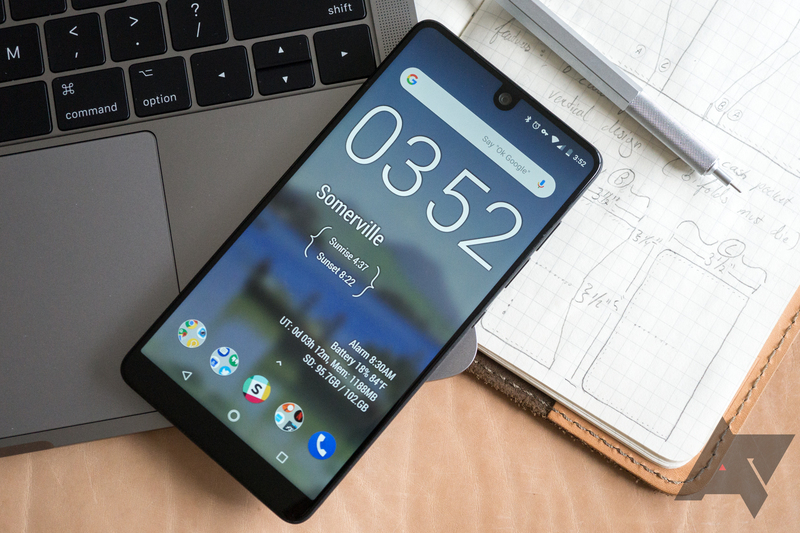 Essential may have decided to take a break when it comes to new phone hardware, but the company's done a better job in delivering timely updates than pretty much any other OEM. Let's hope they can return to the smartphone business someday—an Essential 2 with some hardware fixes for things like signal issues and input jank would be pretty killer.